The Venizelos house provided wonderful offices for the relatively small pre-war chancery but other parts of the legation were out-housed in nearby premises. Discussion about acquiring the vacant plots adjacent to the new residence on which to build all the necessary offices started in 1939 and resumed as soon as the war finished. Given that the political situation in Greece was unstable and the currency and rate of exchange chaotic, progress was erratic. The four plots comprised the open space in the block of land between the Venizelos house at the western end and the small Agios Nikolaos Church at the south-east corner. In 1946, the vacant plot adjacent to the house’s east and south garden areas belonged to the five members of the Kyriazis family, who lived in Paris, Egypt, Switzerland and Greece. 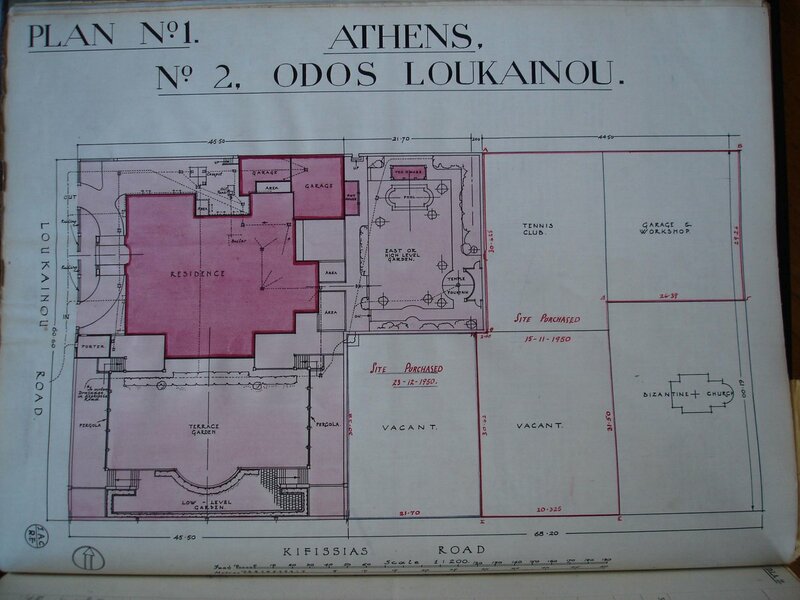 The other three vacant plots in the block belonged jointly to the National Bank and the Bank of Athens. These three plots were acquired in November 1950, for about £160,000, in exchange for the British Fixed Military Assets and Ministry of Supply surplus stores left behind when the Army left Greece earlier in 1950. The Greek government deposited the money in the National Bank on behalf of the UK. The book-keepers in London needed ingenuity in recording this transaction: the accounting result was that the Ministry of Works reimbursed the War Office for an agreed sum by an inter-departmental transfer. The fourth plot was bought from the Kyriazis family in November 1950. 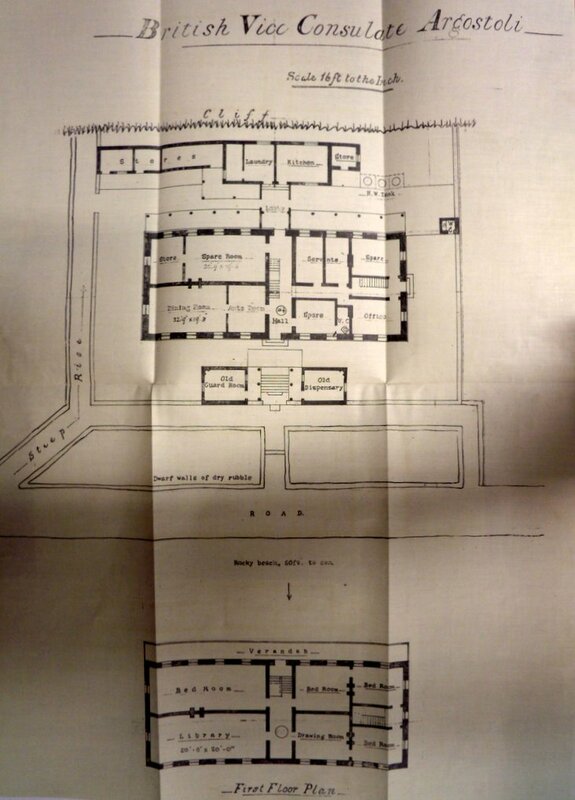 Plans for a new building had been prepared in 1949 but the scheme, even once the sites had been acquired, was indefinitely postponed because of the lack of funds. 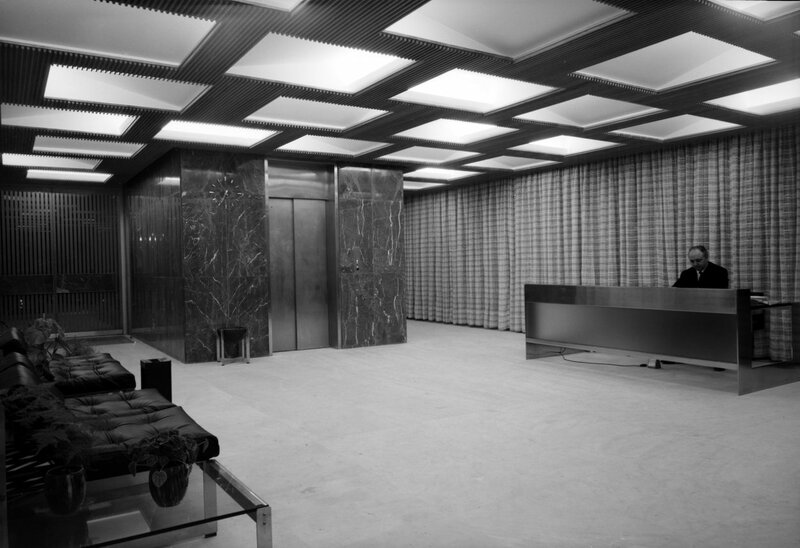 Meanwhile, with increasing staff numbers, out-housed office premises proliferated through the 1950s. Two nearby houses were bought freehold: 2 Odos Loukianou for £45,000 in Oct 1936 and 1 Odos Ploutarchou Street for £165,000 in 1950. And other office space was leased at various times at 2 Plutarch Street, 20 Alokepsis Street, 10 Loukianou Street, in Merlin Street, as well as in the Patriarchou Joachim offices, a modern block, and in Tameion Building, 9 Eleutherion, a large modern office building in the city centre. In 1958, 4 Gennadiou Street was taken on a 10 year lease, with a significant advance rent payment, to house the majority of the staff and enable some of the leases to be given up. This building was originally designed as flats but the lessor had completed it to the Ministry of Works’ requirements. He then went bankrupt and the new owner contended that the balance of the advance rent payment was invalidated. The case was before the Greek courts for some time, and the eventual finding went against the British government. 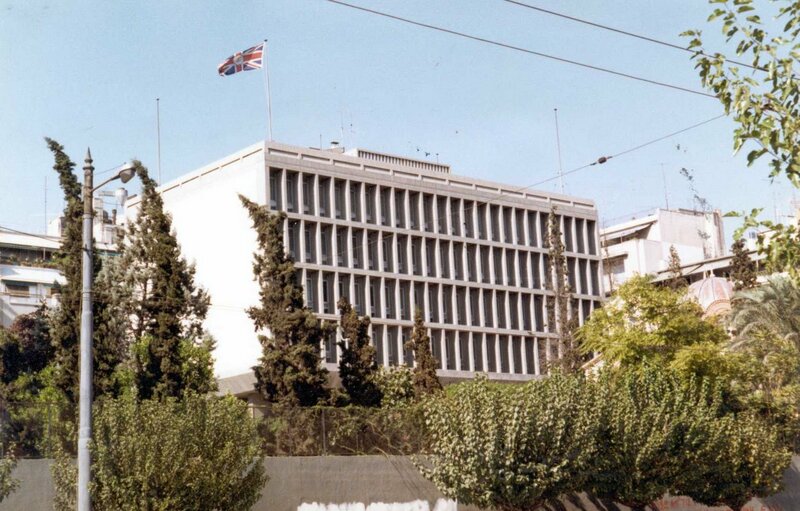 Throughout the early 1960s, the Ministry of Works was putting pressure on the ambassador and the FCO to make better use of the Venizelos house, by inserting more offices or staff flats into it, or disposing of it for something less valuable. Ambassadors successfully fought this off, including by citing the absurdity of the adjacent sites having been acquired because of the convenience of having the offices and the residence close to each other in this excellent location. 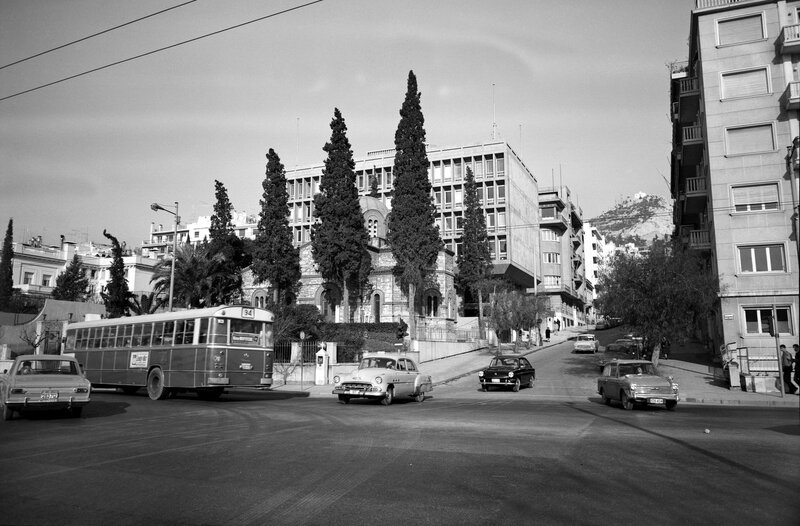 During the Gennadiou Street lease, therefore, the Ministry of Works was at last making preparations for a new offices building on the 1950 site. The proposed 5-storey offices building was designed in London, under the eye of John Kaye, an in-house senior architect. The local associated architects were J Antoniades and E Vassiliadis and the contractor was Albertia and Dimopoulos. 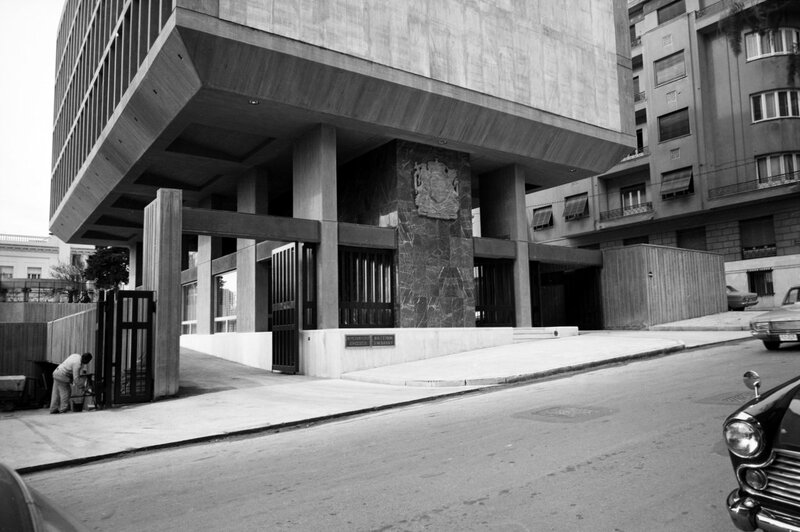 The building was completed in 1968, at a cost of about £430,000, and the whole embassy was able to move into it at the conclusion of the lease on 4 Gennadiou Street. The Congress of Vienna in 1815 granted British protectorate status to the United States of the Ionian Islands, which lasted until the islands’ union with Greece under the Treaty of London in 1864. The union comprised seven islands, with its capital at Corfu, and a Lord High Commissioner as its head. The first such commissioner was Sir Thomas Maitland, for whom the islanders paid for a palace to be built in 1818-20. It was designed in neo-classical style by George Whitmore, who headed the Royal Engineers on Malta at the time, to serve the threefold role as the High Commissioner’s residence, the headquarters of the Order of St Michael and St George that he had founded, and the seat of the Ionian senate. The building is now the Corfu Museum of Asian Art. 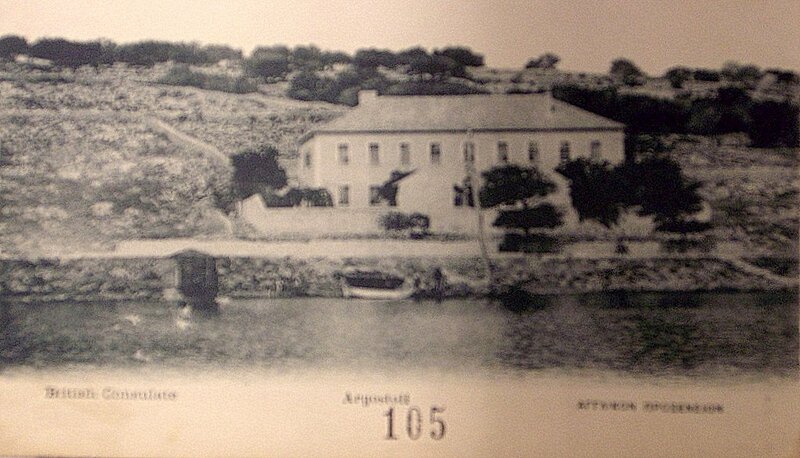 After termination of the protectorate, a consulate was established in 1866 in a property at Argostoli that the War Office had built as the British hospital and which the British government still owned. The post was closed in 1925 but the then vice-consul, a Mr Saunders, was permitted to continue living in the house until his death in 1929. The property was then ceded to the Cephalonia Orphanage without charge, despite the Army Council’s expectation of some recompense. The capital of Crete from 1841 to 1971. A consulate was established in 1838 and, according to a declaration of 1859, a building for it was erected “by the order of and with funds granted by HM’s Government in 1839”. The site was bought in 1859, the building later became a Shipping Office, and was sold in 1914 to a Mr S Moazzo for about £400. Siteplan of residence and vacant plots, c. 1950. 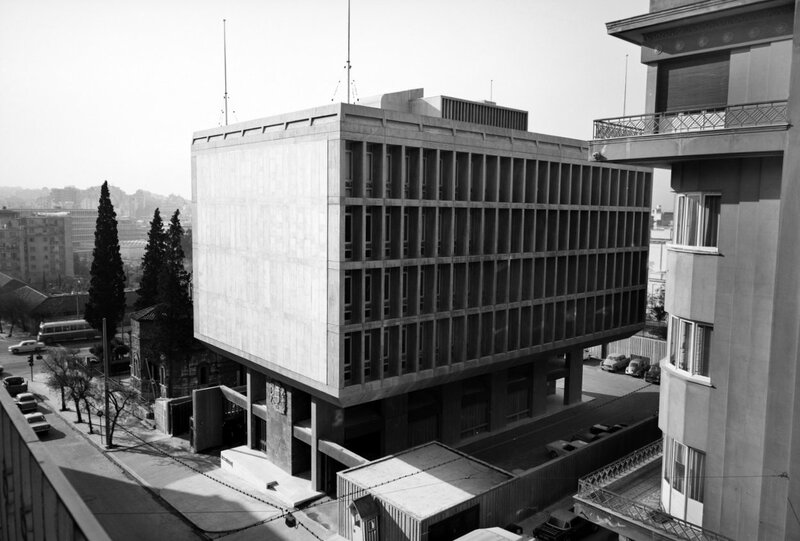 View of offices from south, up Plutarchou Street, with Lycobettus Hill beyond, 1969. Offices from north-east, with church, 1969. Main office entrance, with large cast aluminium coat of arms by James Woodford, 1970. Offices from the south-west, c. 2000.